If you love colorful as much as I do, you will appreciate these fun suncatcher. 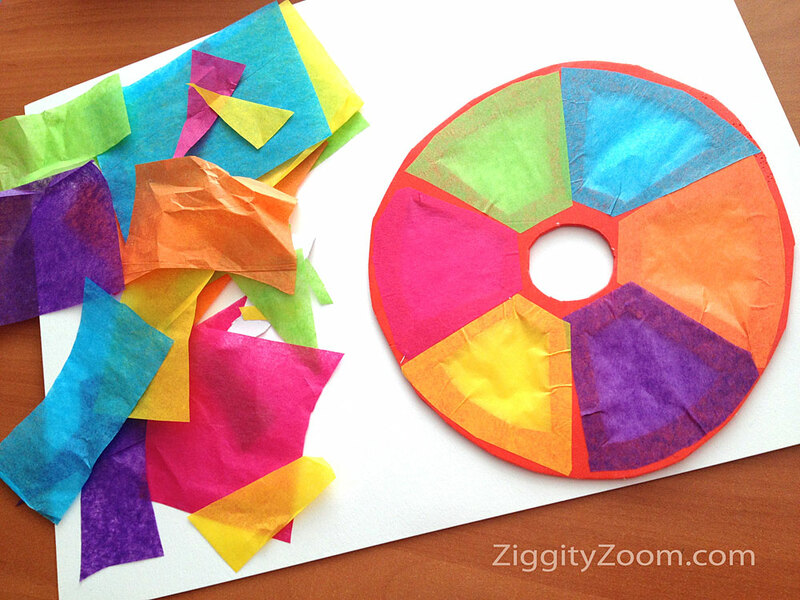 It’s a super easy craft to do with the kids at home or in the classroom. It’s even a great little gift for mom for Mother’s Day or to give for a birthday present. 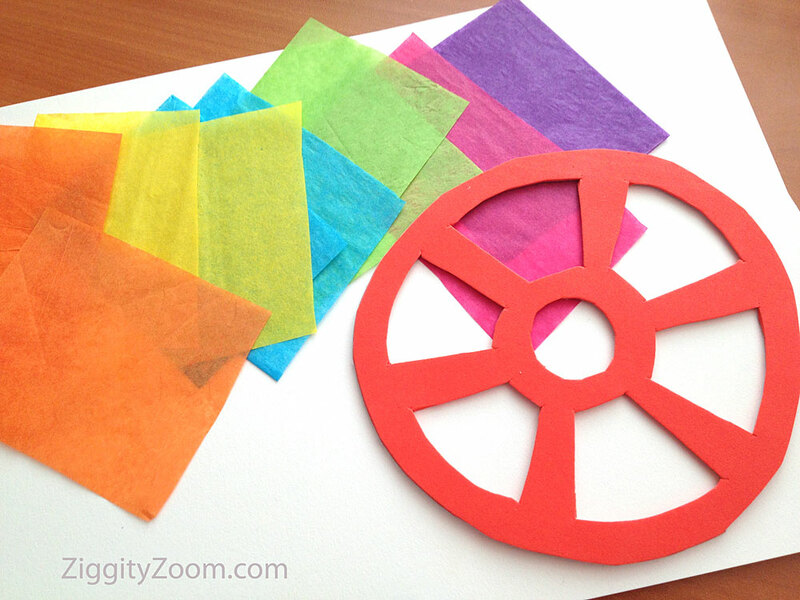 All you really need is some sticky back craft foam, colored tissue paper and that’s about it. Place it in a window or hang it near a window to catch the sun. Draw a 5 inch circle on the backing of your craft foam. Now draw 3 more circles inside of this circle. One, about 3/8 inch inside the original circle, another about a 1 inch circle in the center, the last about 3/8 inch from the center circle. Draw 6 little windows, spaced equally apart, around the sun catcher, using the drawn circles as guides. 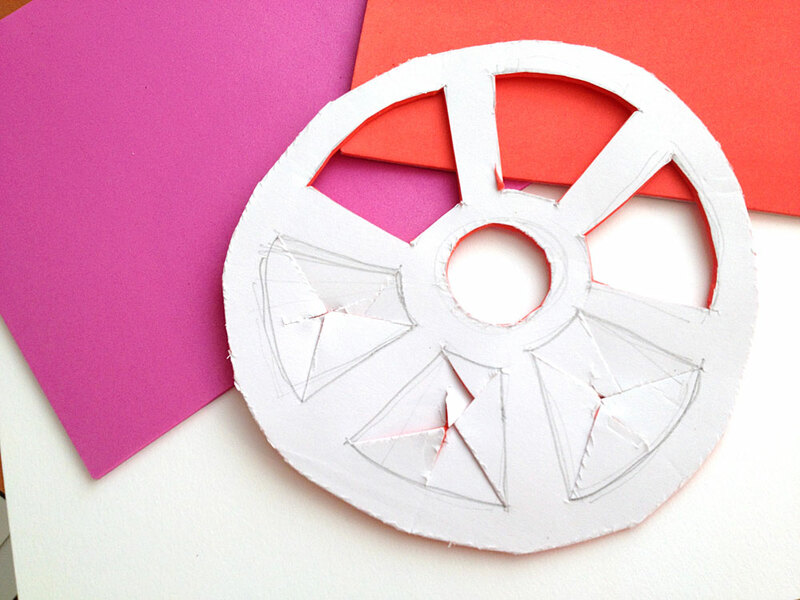 Poke a hole into the center of each space with the tip of your scissors, then cut an X to each corner. This will allow for better cutting. Cut out each little window area and the center circle. Draw a paper pattern to the shape of the windows, but a little larger, as shown in the photo. Cut out and trace onto each color tissue you will be using. Cut out. Remove the backing from your foam and press each window tissue into place. If you aren’t using sticky-back foam, use the glue stick to attach tissues. If you will be hanging your sun catcher, poke a tiny hole in the outer circle of your sun catcher and attach a string.